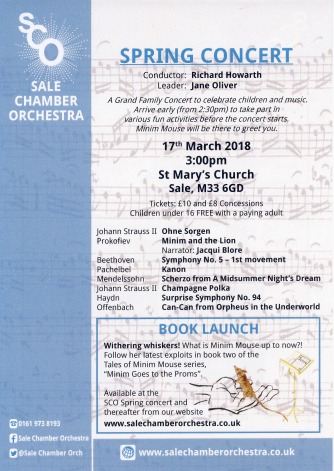 A Grand Family Concert to celebrate children and music. Arrive early (from 2:30pm) to take part in various fun activities before the concert starts. Minim Mouse will be there to greet you.